After less than a month of its premiere, The Great Indian Laughter Challenge season 5 is gearing up for a drastic change. 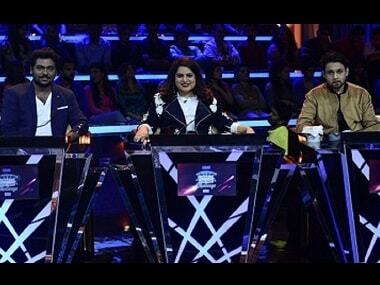 According to an Indian Express report, Mallika Dua, Zakir Khan and Hussain Dalal, who have been essaying the role of mentors on the show, are being replaced by Sajid Khan and Shreyas Talpade. Reports suggest that although the show aimed to target larger audiences by roping in three young and successful comedians, the move failed to live up to the channel's expectations. The freshness of it all, reportedly, could not bring in the numbers and therefore, the channel had to pull the plug. However, a statement released by producer Ashvini Yardi, hints at this change being a prearrangement, which had been in place since the beginning of the show. “After the several auditions we held across the country, we are now at a critical stage of the show wherein the real competition begins. We would like to thank our mentors Zakir Khan, Mallika Dua and Hussain Dalal for selecting and giving us our final contestants. To take the competition from here onwards we now move from our mentors to our judges Sajid Khan and Shreyas Talpade and our very own super judge Akshay Kumar," says Yardi. Sajid,too, echoing the same sentiments, clarified that it was all part of a larger plan. "The three were to be part of the audition rounds and choose the best out of the lot, while in the second stage Shreyas and me would join the judging table along with Akshay," says the director in a statement given to Indian Express. Sajid has previously been a judge on Nach Baliye and had also hosted Sajid's Superstars, his celebrity chat-show. Talpade, on the other hand, has appeared in several comedies, the latest being Poster Boy. We have reached out to Dua and Khan for a comment, and will update this story once they respond. 1The Great Indian Laughter Challenge: Are Sajid Khan, Shreyas Talpade replacing existing mentors?